2017 marks the 100th anniversary of a woman’s right to vote in New York State. The 19th amendment granting women across the United States the right to vote would not be ratified until 1920 – and the New York amendment was one of several important milestones that would pave the way for the national suffrage amendment. For more than 40 years, Susan B. Anthony dedicated her life’s work to the women’s suffrage movement. The day that women could legally vote for the first time in New York State occurred nearly 45 years to the date that Anthony was arrested for voting illegally in 1872. While Anthony died before women won the vote in New York State, the achievement of woman’s suffrage in New York simply would not have been possible without the efforts of Susan B. Anthony and many other women across the Finger Lakes. Beginning Friday, July 21, 2017, Anthony’s hometown of Rochester, NY, will transform itself into “Suffragist City” for the weekend. 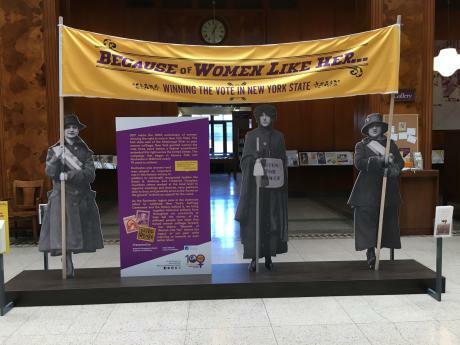 Through a series of special events and activities (details below), Rochester and the surrounding Finger Lakes region will celebrate the suffrage centennial. VoteTilla is a week-long navigational celebrating 100 years of women’s voices and votes in New York State that will take place along the Erie Canal (also celebrating its bicentennial in 2017), and end with a weekend celebration in Rochester, July 17-23, 2017. With a core of five rented canal boats, VoteTilla will set out from Seneca Falls, NY and travel to Rochester, finishing the journey with a parade to the National Susan B. Anthony Museum & House on Saturday, and celebrations around town. 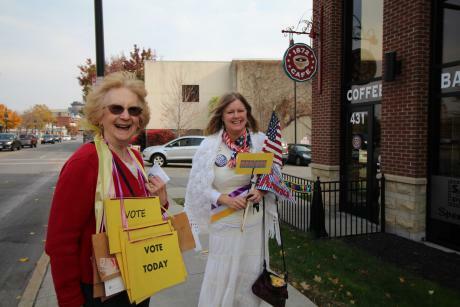 VoteTilla is the region’s signature event to celebrate this anniversary. Please note attached photo of reenactors in costume. On Saturday, July 22, the “Last Mile” of the route will be completed on food with a parade (featuring costumed reenactors) to the National Susan B. Anthony Museum & House in Rochester, N.Y. The parade marches through the heart of downtown Rochester and concludes in front of the historic home of Susan B. Anthony. The City of Rochester will celebrate both the centennial anniversary of women gaining the right to vote in New York State and Rochester’s impact on the women’s rights movement with the inaugural ROC Women&apos;s Music Fest. The festival features female musicians, women-owned food trucks and local women&apos;s groups. National performers include Meshell Ndegeocello, MC Lyte and Joan Osborne. Tickets are just $5. 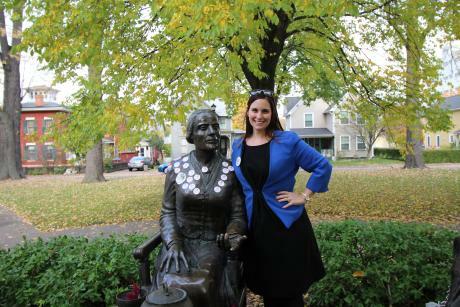 While Rochester will transform into Suffragist City next weekend, visitors to the region can celebrate and commemorate this milestone anniversary all year long with a visit to the National Susan B. Anthony Museum & House, a tour of the National Women’s Rights Park in Seneca Falls (the site of the original 1848 women’s rights convention in Seneca Falls, or with a tour of the new “Because of Women Like Her” exhibition (details below). On Election Day 2016, Rochester found itself in the national spotlight when approximately 10,000 visitors waited at the gravesite of Susan B. Anthony at Mount Hope Cemetery to pay their respects and appreciation for the woman who helped make the historic nomination of a woman for president possible. Inspired by the incredible outpouring of support, emotion and attention on Election Day, the Rochester community has come together to collaborate on a new exhibit “Because of Women Like Her,” on display at the Central Library in Rochester through October, 2017. Come out and join us for the arrival of VoteTilla and the "Suffragist City" parade the weekend of July 21-23. Here&apos;s to 100 years of votes for women!